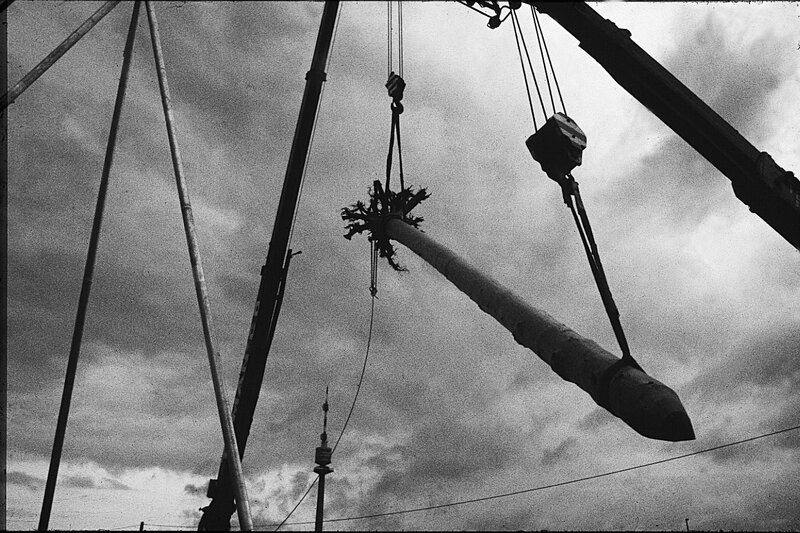 Final work phase on the Hanging Tree, a sculpture by Herman Prigann, created in Vienna, Austria, in 1985. Photo by the artist. Herman Prigann Archive.